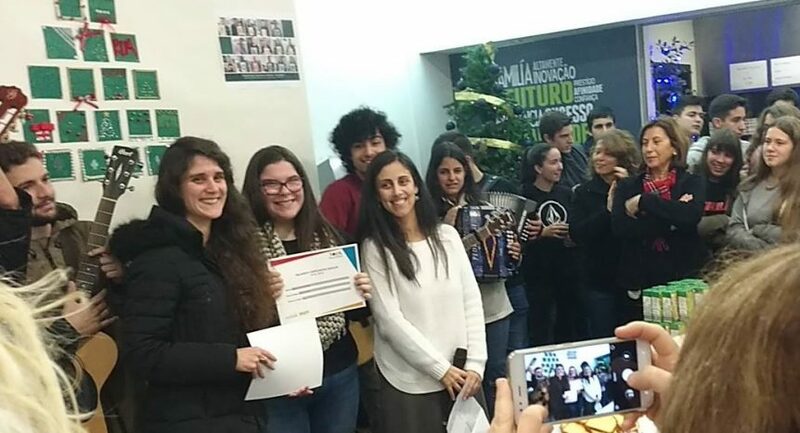 Students of the Evangelical Gymnasium in Banská Bystrica and the Portuguese Forave private school from Vila Nova de Famalicão had a unique opportunity to choose three innovative and inspiring projects that students designed, prepared and presented themselves. After the democratic election, students chose the three best projects, which will be financially supported by schools. These projects are intended to improve school environment or educate students and to support their discussion about current problems of our society. The goal of the Voyage Soiree project is to bring other cultures to students and by savvy presentations from the travelers and by demonstrations of diverse cultures increase students´ motivation to travel and to discover other, new cultures. The People of Other Country project is focused on education, bringing information about the causes and consequences of migration, the real face of migration, especially through genuine personal contact and discussion with the migrants. The Fashion Passion project aims to raise awareness of so-called “fast fashion” and its impact. The project will be implemented through workshops to support students’ creativity and by creation of their own, recycled clothing and fashion accessories. The Shower Project is aimed to improve and upgrade common spaces in the school used for personal hygiene, which are now requiring modernization. The New School Yard is a project that aims to create a new relaxation zone from a vacant and little-used outdoor common area that students will use during lesson breaks or after school. The Activities Project is a project to stimulate year-round student activities to liven up the school community and simultaneously raise funds to equip the school new outside relaxation area. Students from all the winning projects will now get experienced, professional mentors to help and teach students, how to ensure the smooth running of their project. They will oversee their implementation and thus connect the world of students with those, who have long-term and successful experience in the field of business or in the field of human rights activities in the region.